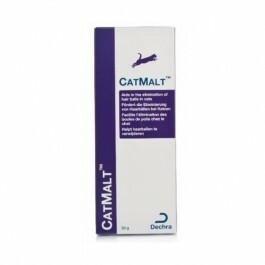 CatMalt contains a combination of malt extract and liquid paraffin to help eliminate hair balls in cats. 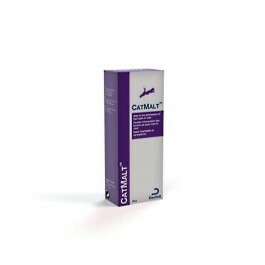 CatMalt is a food supplement to support digestion in animals predisposed to constipation, especially for cats prone to developing hairballs. Certain cats can be predisposed towards the accumulation of hair in the stomach (hairballs). 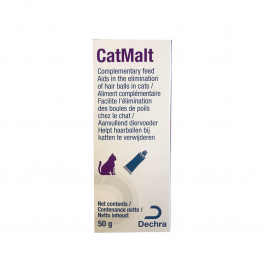 Combining malt extract and liquid paraffin, CatMalt helps eliminate hairballs and helps facilitate the passage of digestion in animals prone to constipation. A creamy consistency facilitates application. CatMalt is palatable, widely accepted and can be used repeatedly. Give 2-3 cm paste straight into the mouth, on food or onto the paw so cat will lick it off. CatMalt can be given 2-3 times a day, between meals. Seek advice from your veterinary surgeon if your cat is off her food, straining to toilet or repeatedly constipated.